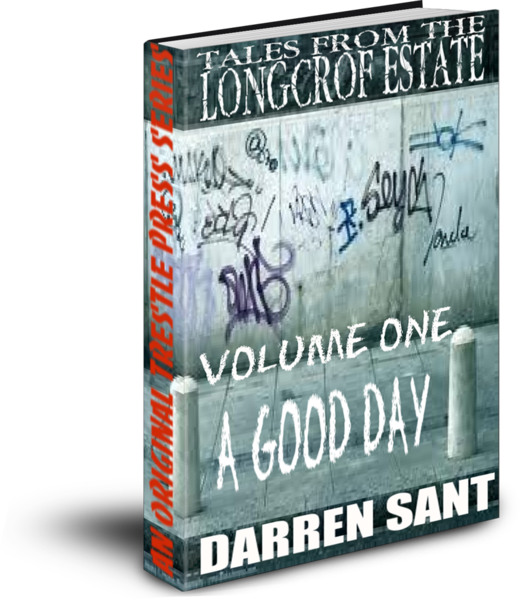 Daz's Reviews: The Longcroft Estate needs YOUR Talent! Writers do you dare step into the shadowy alleyways of the Longcroft Estate? Will you go for a drink in the dingy Red Lion or the Rampant Horse? Maybe you could have a drunken snack in Kebab King. 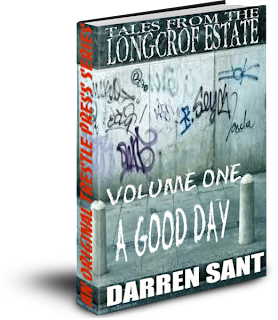 If you have been inspired by my tales from the Longcroft Estate you now have the opportunity to write your own story in this challenging setting. Trestle Press will publish your story as the fourth in the series. The third story Rowan’s Folly will be out in the very near future. Stories ideally must be 2,000 words or preferably longer. However, shorter stories will be considered if they are excellent. A well as myself there are two independent judges who will read the submissions and judge the best. Those judges are talented writers Nick Quantrill and Nick Boldock so you know these guys have an eye for a great story. If there is more than one story that really shines for us then we will consider also integrating it into the series at a later date with the author's permission. I’d encourage writers to reuse places and/or characters that have already appeared or at least been mentioned in the series but it is by no means mandatory. Let your imagination roam the litter strewn streets of the Longcroft and hit us with your best shot. Please put LONGCROFT STORY in the subject line. Closing date for submissions is 19th December 2011. If you have any questions then please address them to me via email. If you are new to the Longcroft series you might like to download them to familiarise yourself with the setting. Please see the links below for information. Both stories are only 86p / $1.34 downloads. Ooh! I'll see what I can come up with. Think I'll have a go at this one...great idea! Look forward to seeing your stories guys. Slip-slidin' into the fray as well, dazzlin' Daz. Scootch over boys, Lady Absolutely is roamin' the grounds . . . Interested to see your take on it Kate. Me too! But I've a plan of navigation of the Estate. There are certain things even YOU don't know about, Sir.